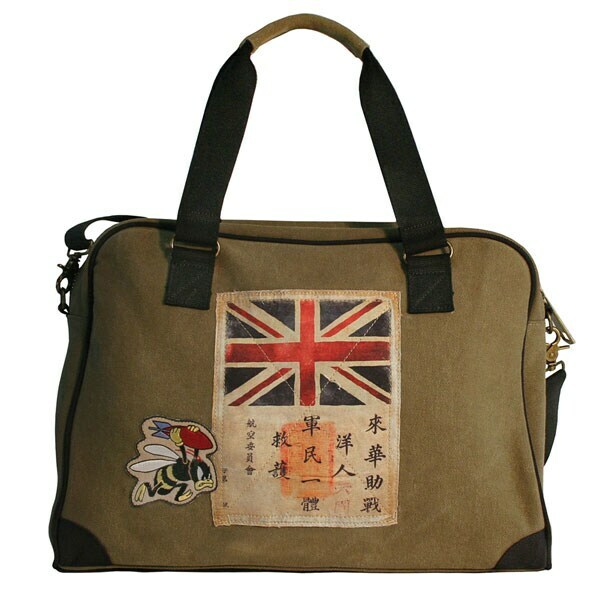 Inspired by the courageous U.S. Army Air Force pilots of WWII, heavy-duty canvas bag features a reproduction squadron patch and a "Blood Chit" patch, used by pilots shot down over enemy territory to request help and protection. 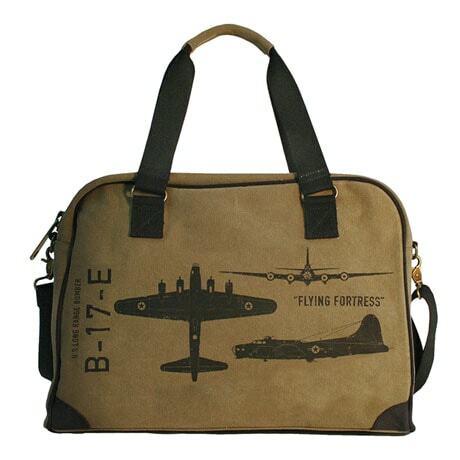 The other side is printed with WWII aircraft silhouettes. Cotton ticking lining, oversized brass zipper, cotton web handles, adjustable shoulder strap, inside pocket. 18"w x 12"h x 6"d. Spot clean.